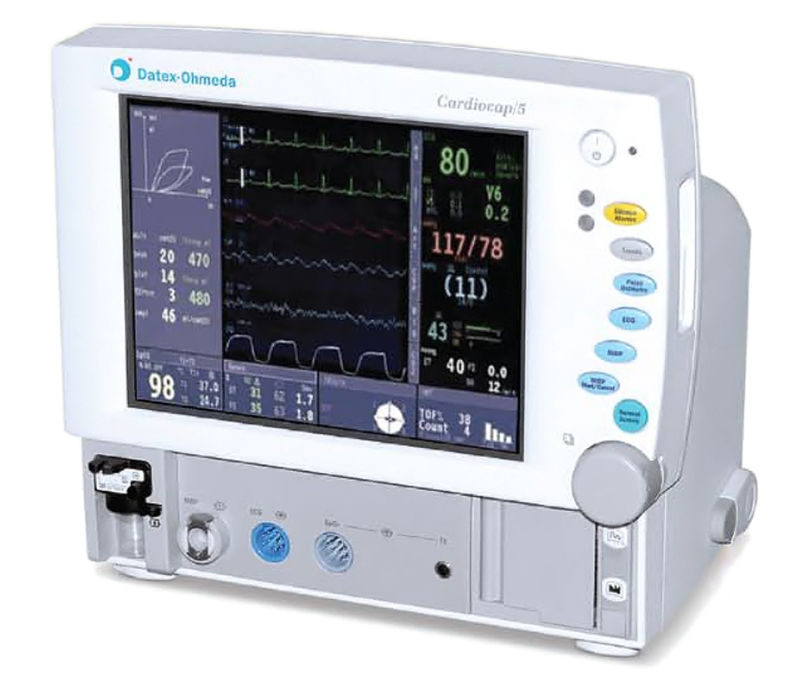 Discount Cardiology has GE Cardiocap 5 anesthesia monitors with 5 agent gas at the lowest prices! Call for details. The Cardiocap/5 is a compact, all-in-one monitor designed for use in the operating room, ambulatory surgery unit, induction room and PACU. The Cardiocap/5 offers full vital signs monitoring capabilities from the monitoring of oxygenation and circulation to advanced airway gas analysis and ventilation measurement with Patient Spirometry. Cardiocap/5 networking options extend the capabilities to centralized monitoring and arrhythmia analysis. The Cardiocap/5 has an outstanding user interface, the trademark of all GE Healthcare monitors, making it easy use, easy to learn and the perfect partner for any anesthesia machine.